Analysis: Webb was added to the Steelers' practice squad a little less than a month ago after going undrafted out of Vanderbilt. He'll now get an opportunity to remain in the Steelers' system throughout the offseason as he looks to find his way onto the 53-man roster next season. Analysis: The rookie from Vanderbilt was signed by the Patriots as an undrafted free agent, but was unable to secure a spot on the 53-man roster. 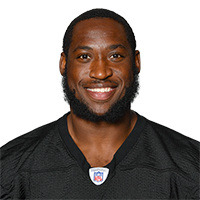 Though running back James Conner (ankle) is expected to miss Week 14, Webb is likely a filler for the Steelers' practice squad. Analysis: Webb signed with New England as an undrafted free agent this spring, but he evidently didn't distinguish himself enough throughout the summer to secure a spot on the final 53-man roster. Webb could see plenty of work in Thursday's preseason opener against Washington, Jeff Howe of The Athletic Boston reports. Analysis: With Sony Michel (knee) sidelined and Rex Burkhead potentially nursing a minor unspecified injury, Webb -- who needs a strong preseason showing to make the team -- could get a long look Thursday. Meanwhile, Mike Gillislee and Jeremy Hill, who are competing for the team's "big back" job, could also be sprinkled in. In any case, while Webb seems unlikely to be a major factor in the regular season, he looks like an option for DFS players this week. There are no videos available for Ralph Webb. Click here to view all videos.